Chronic pain conditions are often “hidden disabilities.” Though no one can see your pain, but that does not make it any less real. It does, however, make it more difficult to diagnose your condition and convince the Social Security Administration you are deserving of Social Security Disability benefits. 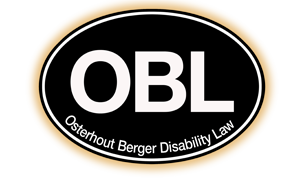 At Osterhout Berger Disability Law we focus on handling Social Security Disability claims and appeals. In our more than 20 years of practice, we have handled over 30,000 cases, including countless claims involving chronic pain conditions. We represent disabled individuals throughout southwestern Pennsylvania, eastern Ohio and northern West Virginia. To discuss your chronic pain-related disability with an experienced attorney, please schedule a free confidential consultation by calling us at 412-794-8003 (locally in the Pittsburgh area) or toll free at 1-866-438-8773 (outside the Pittsburgh calling area). Before you can receive SSD, you will need to prove that your disability impairs your day-to-day functions and are unable to work for extended period of time (at least 12 months). Since chronic pain conditions often have no outward signs, the Social Security Administration may be somewhat skeptical of your claim. Unfortunately, the extent of your pain cannot be viewed through a microscope or seen via x-ray. Your medical records must demonstrate a consistent pattern of symptoms. In addition, a successful claim may mean having to expose yourself to difficult questioning from the SSA. You must be willing to candidly answer inquiries about how chronic pain limits your daily life. To discuss your chronic pain condition and SSD claim, please schedule a free confidential consultation by calling us at 412-794-8003 (locally in the Pittsburgh area) or toll free at 1-866-438-8773 (outside the Pittsburgh calling area). If you prefer, you can fill out our intake form and we will contact you to schedule an appointment.